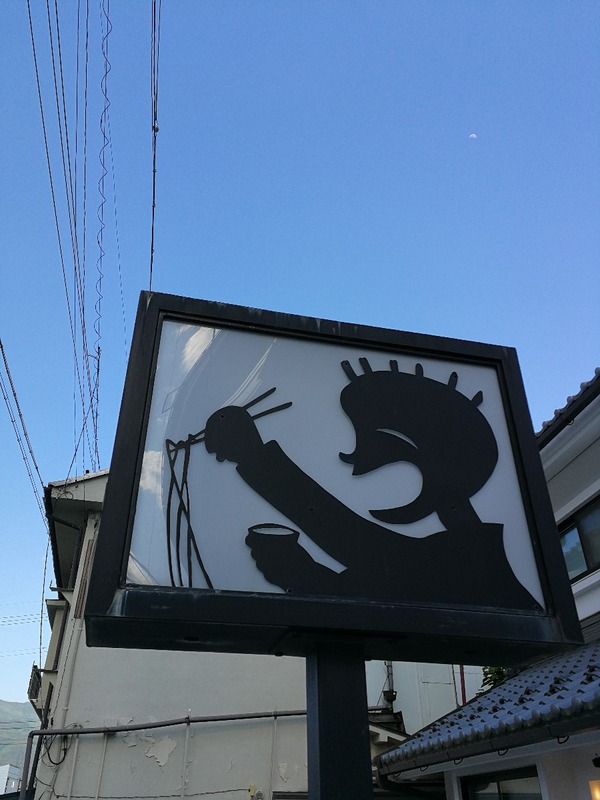 Published on 12th December 2018 at 13:15 • No comments yet, be the first! In the turquoise waters of the Indian Ocean, just off of the east coast of Madagascar lies Mauritius. Centuries of immigration has resulted in a melting pot of cultures, religions and mixed cuisine on this beautiful island. 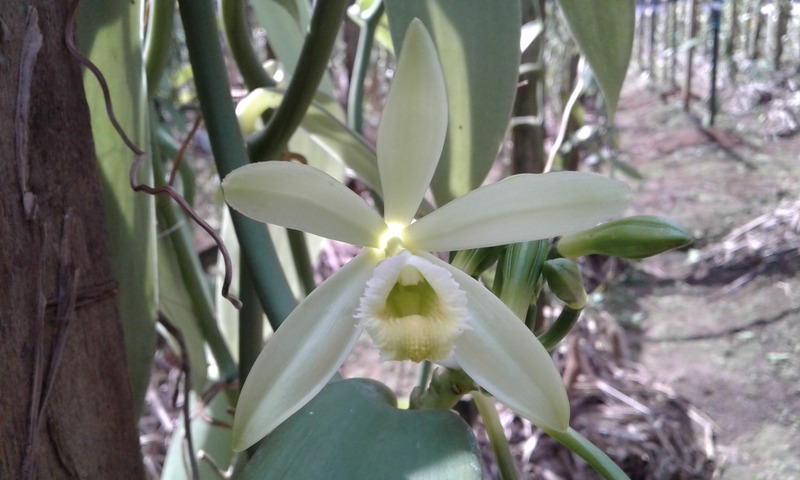 It was thanks to the French who first brought vanilla orchids to Mauritius and Reunion Island (named Bourbon Island at the time - hence the name Bourbon vanilla) from Mexico in 1819. With a lack of bees around pollination of this flower didn’t take off as expected, that was until 1839 when a 12 year old slave figured out that vanilla could be pollinated by hand! 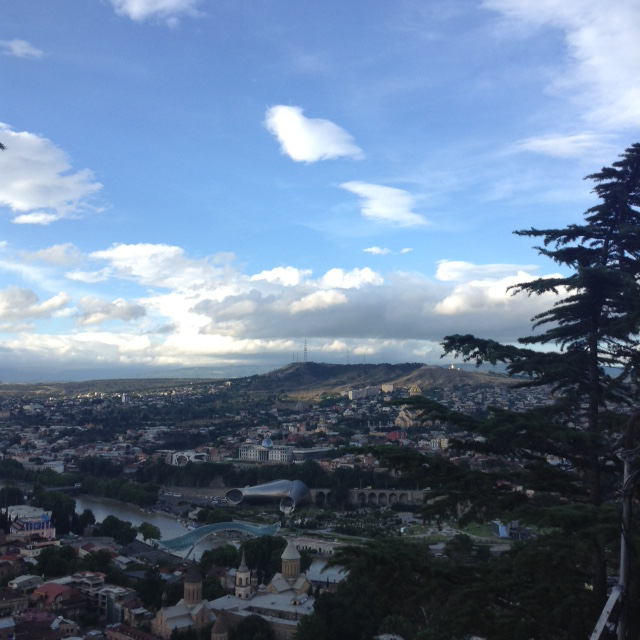 Due to a cyclone in 1892, vanilla was wiped off of Mauritius. It was nearby Madagascar that saw vanilla growth prosper and now the small island makes up 80% of the worlds vanilla supply. Currently the world is seeing a shortage in this luxurious crop, mainly due to yet another cyclone in 2017 that almost entirely wiped Madagascar out of vanilla, causing prices to rocket! Vanilla is now the second most expensive spice in the world with record highs of £535 per kilo, second only behind saffron! It’s no wonder that there has been a rise in vanilla theft, low quality vanilla being sold in place of the good stuff, and premature harvesting! But it’s not as easy as planting a few more crops, it takes vanilla vines up to 4 years to mature, and only after hand pollinating 600 blossoms does this yield 1 kilo of Vanilla pods. 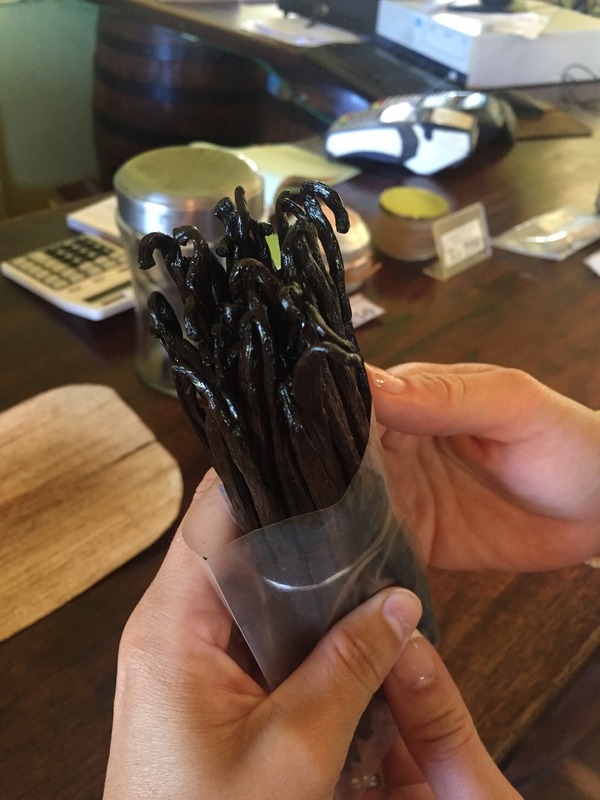 Although 90% of cultivated land in Mauritius is dedicated to sugarcane, some farmers have started to invest in the luxury crop of vanilla especially with the demand for natural vanilla increasing. In the south of the island lies Saint Aubin with one of the islands first sugarcane mills. It’s here on this grand colonial estate, that lies the only vanilla plantation on the island where i was lucky enough to visit whilst holidaying in Mauritius on my honeymoon! We were greeted by Rana who was working in the vanilla house, she seated us down on some not so stable plastic garden chairs, asked us whether we were German or English, then slowly wheeled out an old school tv and inserted a video into the VHS player (yes VHS!). The film, which was probably produced in the early 90’s, took us through the steps involved in the growing of vanilla. 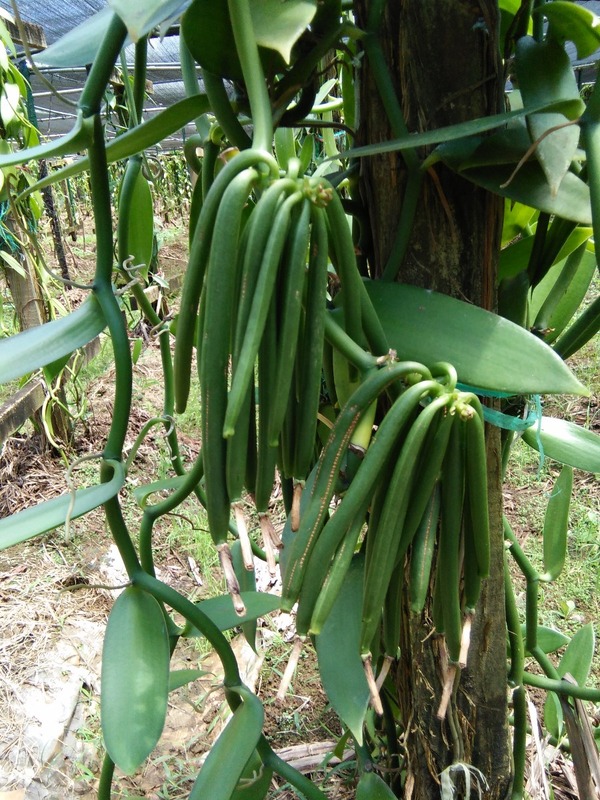 The vanilla plant is a hermaphroditic and is self-fertile but incapable of self pollination. With the flowers of the vanilla opening for just one day the process of hand pollination is still necessary and amazingly this process has been the same since 1839! Rana then led me out back to the plantation, and i was surprised at how small it was (it was around the size of half a football pitch). As expected there was high security consisting of fencing and a padlocked gate for entry and exit along with strict security checks for staff. At £535 per kg i guess security has to be high! Unfortunately i must have an untrustworthy face as i wasn’t allowed to get too close to the vines and had to view the workers tending to them through the holes in the fence. Back inside the vanilla house Rana showed us the steps involved in the harvesting of the pods. After 9 months and when the green pods are ripe they are hand picked. This happens between September and December. The green pods are placed in baskets and blanched in 65 degree heated water for precisely 3 minutes. This process helps to stop any vegetation in the pod. The pods are then placed in wooden boxes lined with wool blankets where they are steamed for 12 hours - it’s during this process that the pods take on the dark chocolate colour. The next stage involves laying the pods on grids in the direct sunlight for 1 week, and then into the shade for 1 month. The pods are then measured and graded. There are two grades of vanilla, ‘A’ and ‘B’ grade. 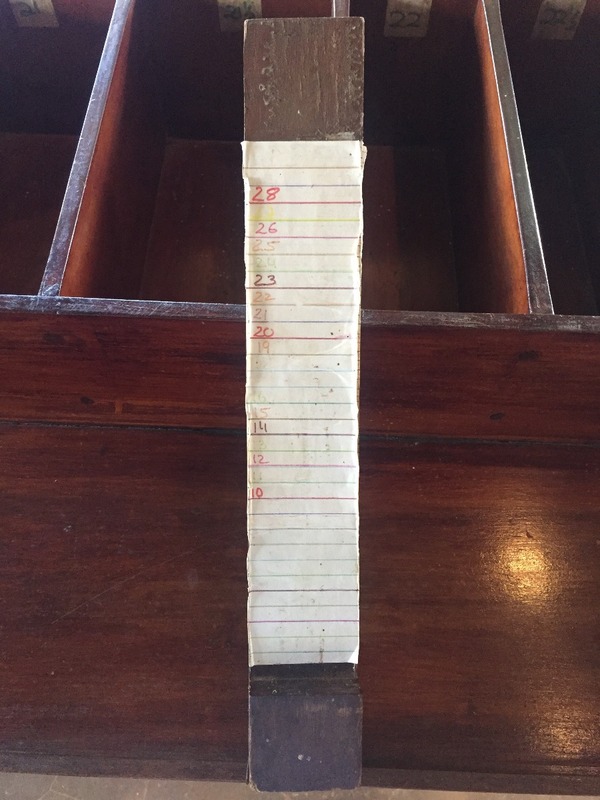 The grading is based on moisture content and appearance. With ‘A’ grade vanilla having a higher moisture percentage and better appearance. The pods grown on the St Aubin estate are used solely by the estate as it’s not economical for them to export the pods. 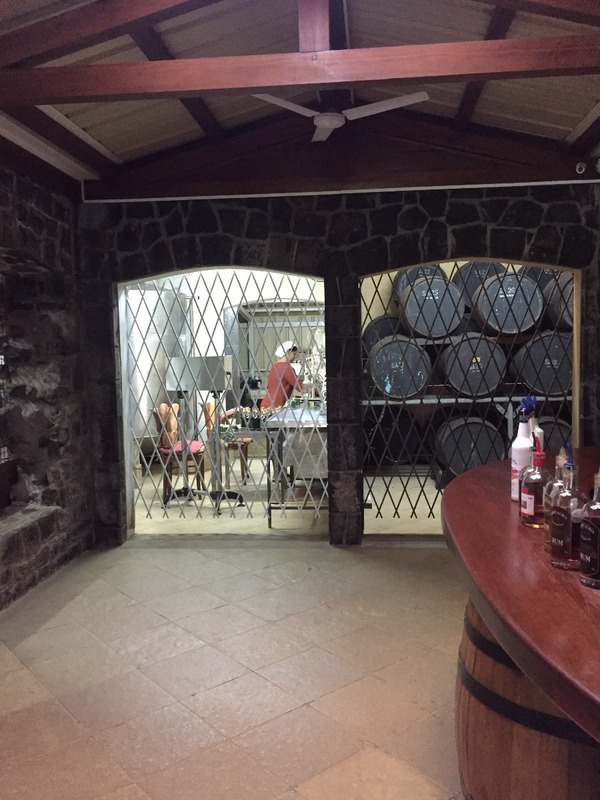 There is a restaurant, as well as a rum distillery where vanilla spiced rum is made (alongside other spiced rums using spices grown in the spice garden), and vanilla is also added to the sugar that is milled in the sugar mill to make vanilla sugar! I couldn’t come all this way and not buy some pods. Rana even gave me her top tip for keeping them fresh; simply place the vanilla pod in a glass jar with a shot of rum and a tablespoon of brown sugar and it will last for 5-10 years! Maybe i’ll need to make mine last all that time before i eventually make it back to Mauritius.